How would your life be different if you could learn the retirement investment strategy an investment advisor uses to successfully manage money? At Snider Advisors, we are professional money managers with a verifiable track record, who teach you the step-by-step process we’ve used for over a decade to manage client assets. When you take the Snider Investment Method Live Workshop, you learn everything you need to know to manage your own portfolio. It’s literally as detailed as, “Put this number here, put this symbol there, and push this button.” The goal is for both novice and experienced investors alike to be comfortable trading the method in their own retirement investment portfolio. Can’t Make it to DFW? Our Snider Investment Method Online Course is the perfect solution. 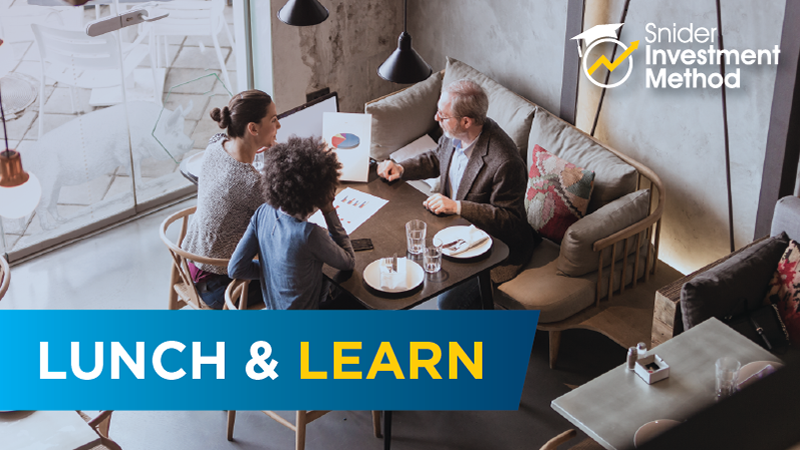 Our FREE information sessions give you a platform to learn about Snider Advisors and the Snider Investment Method. You’ll have the opportunity to see who we are, what we do, and what our unique perspective on personal finance and investing is. We’ll also have the chance to get to know you and answer any questions you may have about what it’s like to be one of our clients. The number one reason people attend our information sessions is to learn about the Snider Method. So the majority of the evening will be spent discussing the objectives, benefits, risks, and performance history of the Snider Method. 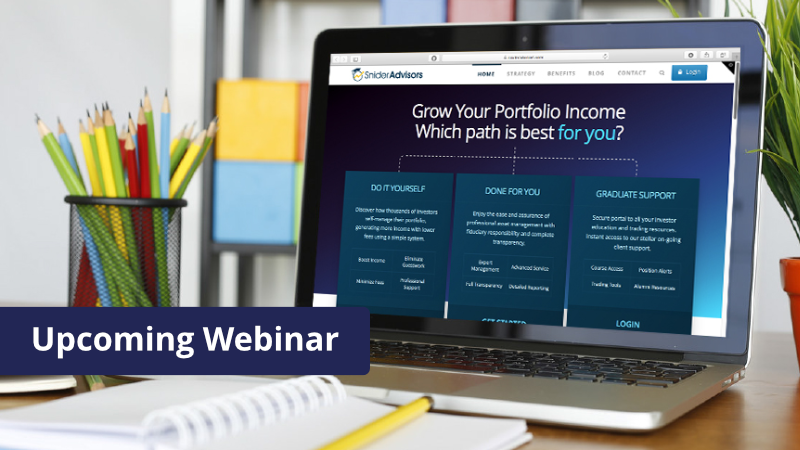 We offer free webinars on a variety of topics including basic trading information, 401(k) management , and the Snider Investment Method. Some webinars are hosted by our recommended broker, Ally. Registration for our Ally sponsored webinars can be done directly on their website under the Education > Live Events section. Snider Advisors has an economic incentive for recommending that clients open an account with Ally. Specifically, Snider Advisors receives a flat referral payment for each new account it refers to Ally. More detailed information about the relationship and our fiduciary responsibility can be found in our ADV Part 2A. 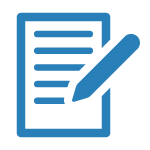 Clients may contact Snider Advisors with any questions about the terms of the agreement with Ally.